Takeaway: Lack of exercise has been linked to major diseases such as heart disease, type 2 diabetes, and some forms of cancer. The best way to find time to workout is to have a game plan, split your daily activities into sessions, set alarms, and always keep your fitness goals in mind. Busy Mom? Work Out with Your Kids! 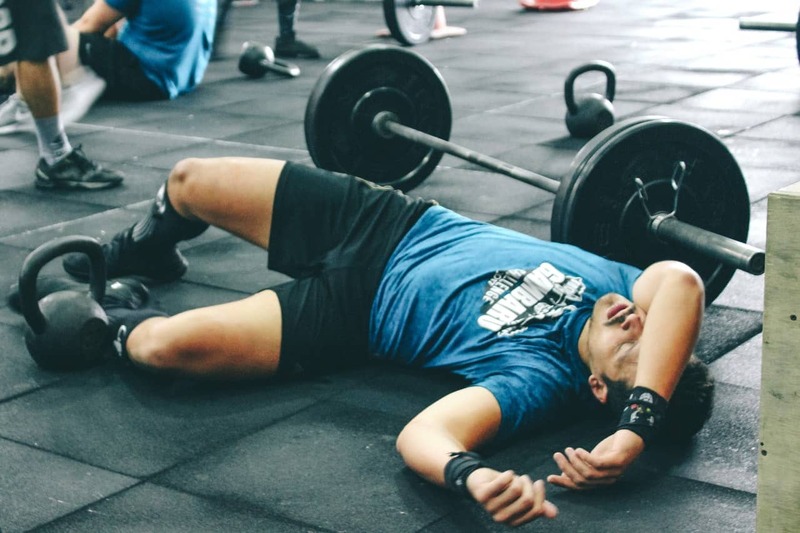 What stops us from finding the best time to work out? Is it a lack of motivation or a lack of enjoyment? Perhaps it’s a lack of confidence or fear of failure. All of these are valid reasons why some of us don’t make an effort to work out. You know what’s not a valid excuse? A lack of time. Finding the best time to work out is doable regardless of your busy schedule. All you need is a little bit of time management. Dedicating a mere 30 minutes out of a 24 hour day to working out, accounts for just over 2% of your entire day. Research shows that the average American spends 5 hours a day watching TV; that’s roughly 21% of any given day. Statistically speaking, any time argument you had up until this point has been justifiably eliminated! The Daily Mail reports that lack of activity has caused as many deaths as smoking has across the world. Lack of exercise has been linked to major diseases such as heart disease, type 2 diabetes, and some forms of cancer. A study published by The Lancet found that worldwide inactivity leads to one in ten deaths or 5.3million deaths. In addition to serious chronic diseases, being inactive can impact the daily aspects of your life. When you are not moving, you burn fewer calories. Burning fewer calories means you’re more likely to experience weight gain or have difficulty maintaining a healthy weight. A lack of physical activity means that there is a lack of overall muscle use in your body. Because you are not using your muscles as much as you should, you may lose muscle strength and endurance. You may also experience poor blood circulation, more inflammation in the body, or a hormonal imbalance. Physical activity and exercise can have an immediate impact on these issues and provide long-term health benefits. Taking into account all the risks associated with a life of being inactive, being too busy to workout should not be an excuse for any of us. Finding time to work out to avoid future health complications, should be towards the top of our priority list. The bottom line is that if you want to stay active, then you’ll need to find the time. 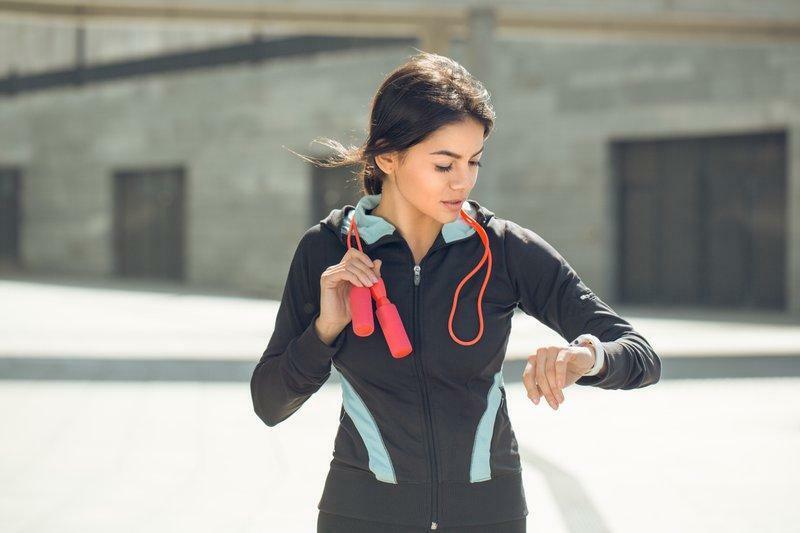 Finding the best time to work out can be a challenging task; but with a little organization and a solid game plan, you’ll be on the right track to a healthy lifestyle which includes daily activity. Some form of exercise is certainly better than none. 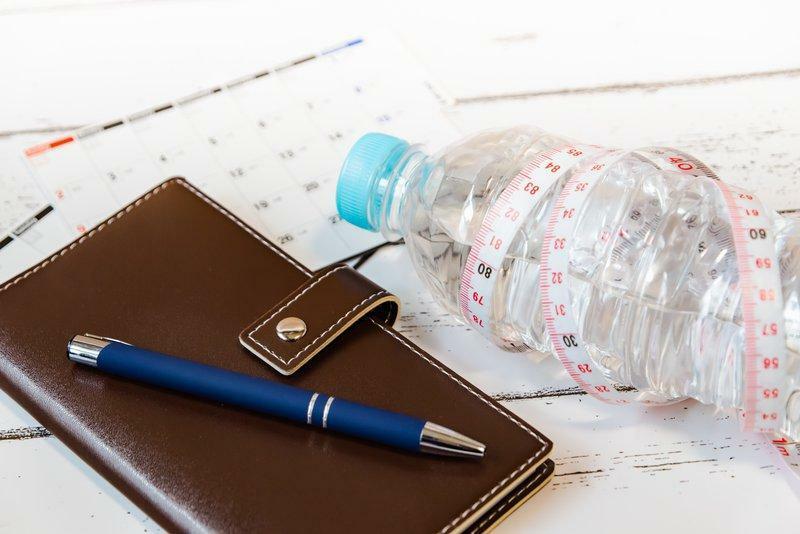 Your initial goal should be just to get started; and eventually, your goal should be to get the recommended amount of daily exercise for your height, weight, and age. The Department of Health and Human Services recommends a minimum of 150 minutes of moderate aerobic activity per week. They also recommend making time for two strength-training sessions in that same week. This equals out to about 30 minutes of daily activity, five times a week. The key to finding the best time to work out is to be flexible, make it convenient, and prioritize fitness. Keep in mind that not all exercise needs to be a formal work out. Any form of daily activity for 30 minutes a day can add up to a healthier you! The best time to work out is the time that works best for you. If you’re at home, make an effort to wake up a little earlier than you usually would and get moving. Take the extra time take a brisk walk through the neighborhood, take the dog for a walk, or simply go up and down the stairs a few times before jumping in the shower. Research shows that two-thirds of people with depression do not actively seek or receive proper treatment. A number of studies have also found that exercise can help depression. 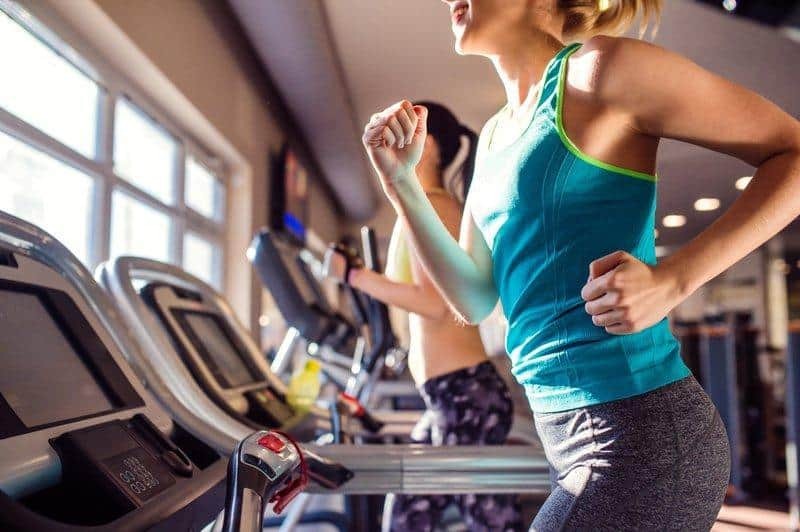 For those suffering from depression and anxiety, exercise can help block out negative thoughts and provide a distraction from everyday worries. Exercise can also increase levels of certain chemicals in the human brain such as serotonin, endorphins, and stress hormones. 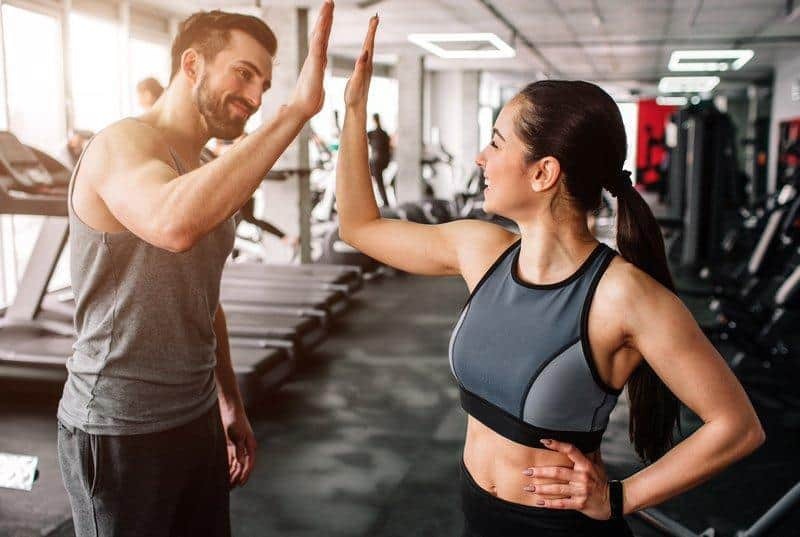 Finding an exercise buddy or gym partner can also help those with depression by providing social contact and interactions they might not engage in otherwise. An added benefit of finding time to exercise is a stabilized mood and significant improvements in your sleep patterns. When you exercise regularly, you not only feel better throughout the day, but you tend to sleep better at night. Studies show that physical activity increases the time your body spends in stage 3 sleep or deep sleep. This stage is the period of deep sleep that you need to feel rested and refreshed in the morning. Deep sleep helps improve your immune system and can reduce stress and anxiety. One of the best ways of making time for exercise is to have a clear plan. Analyze your daily schedule, find a time slot that you are free, and set a daily reminder on your laptop, smartphone, or planner. This way, every morning when you wake up, you have a clear idea of when and where your 30 minutes of daily activity will take place. If all you can only squeeze in 5 minutes at a time, that is okay. Make an effort to stop whatever you’re doing for 5 minutes at a time and walk around any open space. Just keep in mind that at the end of the day, these sessions should add up to a full 30 minutes. Before you sit down to watch TV, set a time limit for the time you will spend watching TV. When your alarm goes off, switch over to performing some type of physical activity. Instead of wasting time watching a show you’re not really that interested in, use this time to improve your health. Plan on watching TV for an extended period of time? The best time to work out is during those dreaded commercial breaks! Do a few sit-ups, crunches, or push-ups during the break instead of scrolling through Instagram. You can even keep fitness equipment, such as a kettlebell, resistance bands, and a jump rope, near the TV. Instead of going to some fancy restaurant, mix things up by planning a hot yoga date with your significant other. Weekends present the perfect opportunity to plan a nice hike and possible picnic with a coworker, friend, or a loved one. The best time to work out could be while on vacation. A ton of resorts, cruises, and vacation homes have a fitness facility or group sessions that you can attend. This is an effective way to socialize, burn off those extra vacation time calories, and make full use of the amenities you already paid for. Many of us lose the momentum exercise as the day progresses. If you find yourself in this category of people, then the best time to work out for you could be in the earlier hours of the day. Set out your clothes the night before to save time and get moving as soon as you wake up. Get it out of the way! We encourage you to read up on the benefits of morning exercise. Naturally, we try to find the closest parking spot to the store, restaurant, or location we are going to. It can pay off to park a little further and squeeze in 2-5 minutes of exercise before we get to the establishment. Many of us just don’t understand how they can fit exercise into their busy schedule. Please keep in mind that it does not have to be this monstrous chore that we dread and feel we cannot conquer. There are small, frequent changes we can implement into our busy schedules to up our daily activity. If you’re always on the go, then the best time to work out could be right at the comfort of your workplace! Keep in mind that not all physical activity has to take place in a gym or has to follow a formal, strict guideline. Exercise videos are a cost-effective and time efficient way to fit exercise into a busy schedule. Videos provide the flexibility you need to play, pause, or stop your work out based on real-life time constraints. This can be a very effective way to fit exercise into a busy schedule if you work full-time or are a student. If you’re a busy parent who needs to take your kid to soccer practice or piano class, stay active while you wait. Instead of simply watching from the sidelines, try doing several laps around the soccer field. When you wait for piano class to end, park your car and go for a walk or use the staircase on the side of the building to stay active. If you usually drive to work, try riding your bike to work. Even if you take the train or the bus, get off a few blocks early and walk the rest of the way to your building. You’d be surprised how many steps and calories you can burn before you even start your workday. If you have a jam-packed schedule, the best time to work out is… any time! Take the stairs whenever possible. If your office is located on the second floor, then work your way up to taking the staircase every day and try eliminating using the elevator entirely. While you’re at work, instead of hanging out in the kitchen or break room go for a quick walk around the office building. This is also a great way to get some fresh air and regain your focus. Delete the text, email, or DM you’re about to send to your coworker. Get your steps in and stretch out your legs by walking over to their desk and talking to them directly. What’s worse than a commitment? Backing out of one. Sometimes all we need is to treat our work out as an important appointment that can’t be rescheduled. You’d hesitate to cancel a meeting you had made a while ago, wouldn’t you? If there are house chores that you feel you can pass on to your spouse or kids, then do so! Once you’ve got the free time on your hand, there’s no excuse. Use this time to squeeze in 30 minutes of exercise into your day. It’s ideal to try to complete 30 minutes of exercise all at once, but 10-minute sessions of activity in one day count towards your daily goal. Another option is high-intensity interval training which produces the same benefits as 30 minutes of activity in half the time. Making time to stay active and finding the best time to work out can be a challenging task when you have kids who constantly keep you busy. A life of good health and fitness becomes twice as important when you have kids around. 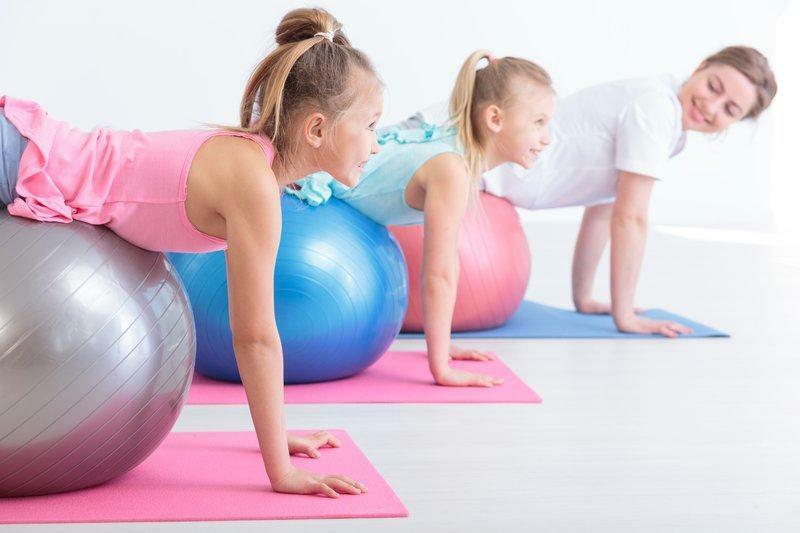 We wanted to make your journey to fitness easier, so we’ve compiled a list of some great exercises and workouts that you can perform with your kid! This way, you can both reap the benefits of staying active—together. An at-home Zumba class can be a fun and easy way to work out with your kids! It’s never too early to learn how to dance (and stay active)! These fun, energetic, and productive work out videos will have your kids asking when the next work out is! This is a strength training exercise that both you and your kid can perform, regardless of their age. 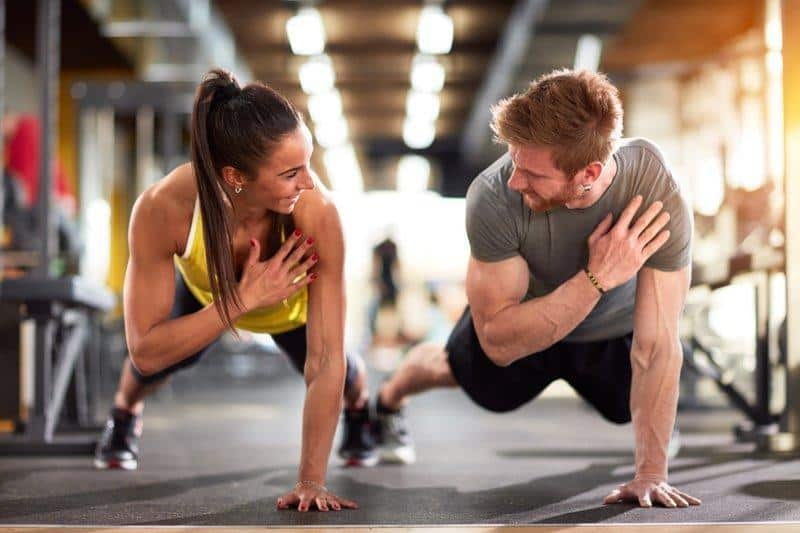 Count together as you complete a set of 10 push-ups and keep each other motivated as you move through the reps. You’ll be surprised how much they enjoy doing this work out simply because they get to do it with you! This is the ultimate way to get your steps in and keep an eye on all your children. These 10 minutes of activity can go a long way towards everyone’s activity level—yes, that includes the dog too. If you’ve got a little girl at home, then this work out option will quickly become her favorite to perform! Many kids are quite flexible and enjoy stretching over rigorous exercises. OM At Home is an at-home yoga program designed specifically for parents who wish to practice yoga with their kids from the comfort of their own living room. Make your child’s playdate a double play date! Suggest a fun, outdoorsy day to your friend where everyone can have fun while staying active. Some suggestions could be walking around the zoo, swim in the pool, or jogging around the playground while the children play.